Data security and privacy are a growing concern among educational institutions, with some 727 breaches taking place in higher education from 2005-2014, according to the Privacy Rights Clearinghouse. I spoke with John Sileo of The Sileo Group about the reasons this space has become particularly vulnerable to data loss. 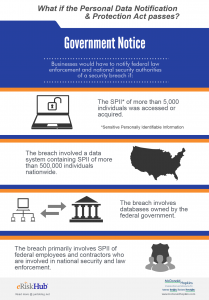 In late January 2015, the White House introduced the Personal Data Notification and Protection Act (PDNPA), a data breach notification bill, intended to improve national cybersecurity. I asked attorney and breach coach Dominic Paluzzi of McDonald Hopkins about how this bill differs from the existing laws and its potential implications for risk managers.